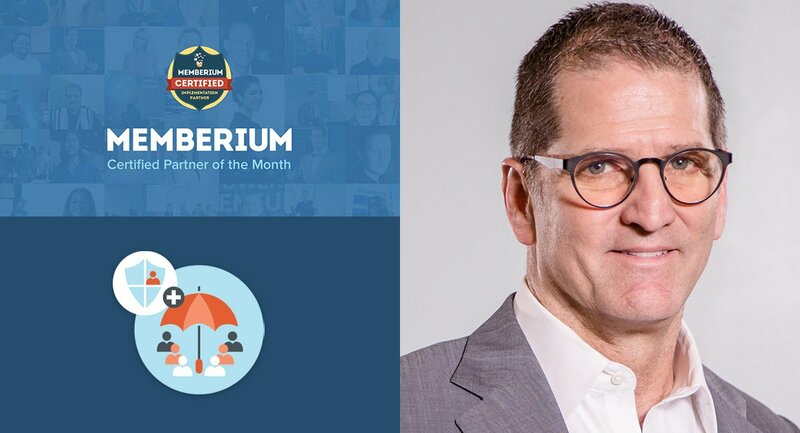 In this month’s Memberium Certified Partner of the Month Interview, Jorge Diaz from Larry Jacob Internet Marketing shows us how Memberium’s Umbrella Accounts feature works and demonstrates how anyone can use it to sell memberships to groups, teams or corporations. The way this works is when a new member joins, they can add a certain number of people under them to get access to the membership program or online course they just joined. 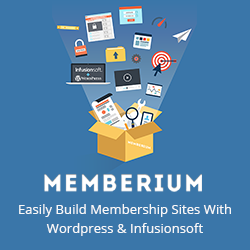 In this video, Jorge shows us three different membership sites that use Memberium’s Umbrella Accounts feature and shows us how they work. The Umbrella Account feature of Memberium, also known as parent – child gives your customers the power to create sub-accounts for their own use. For example, a parent user can create a child account and also remove it through a self-service interface. In this article, lets take a look at a few tips that allows you to do more with Umbrella Accounts. The MakePass scanner is the latest method to create passwords for new members. Rather than relying on an unreliable HTTP POST, this new feature scans your Infusionsoft contact database for new members, generates passwords for them, and then runs a completion action on each contact. The scans run every three minutes. Strength Sensei currently has over 1800+ members and was founded by Charles Poliquin, who trained over 400 Olympic medalists in his lifetime. 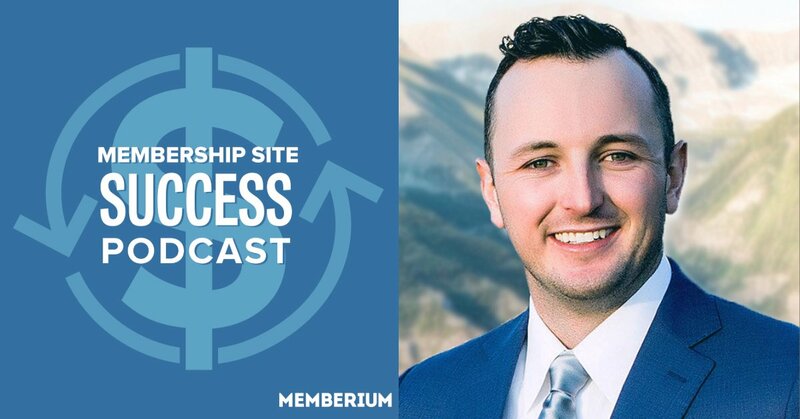 Scott also shares how they are offering courses through Memberium without any LMS and much more that you won’t want to miss in this exclusive walkthrough of Charles’ membership program. There are cases when you want to allow your users to self-cancel their subscription with you. Here are some of the steps you can take in order to implement this. 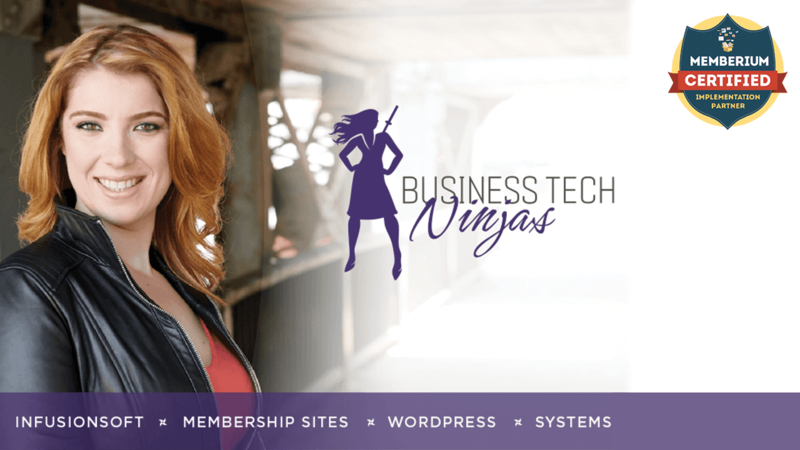 Micah Mitchell, CEO of Memberium interviewed Melodie Moore, founder and CEO of Business Tech Ninjas – a marketing agency that specializes in building Memberium based membership sites. She was the very first official Memberium Certified Partner back in 2015 and we’re proud to announce Business Tech Ninjas the Memberium Certified Partner of the Month for November 2018. Watch the video to know more about Melodie and Business Tech Ninjas. Today’s guest, Rachel Miller of Moolah Marketing, had sat next to Micah on an airplane 18 months ago as a complete stranger. Little did she know the advice she’d get on that flight would be just what she needed to hear to finally get the first version of her membership site launched. 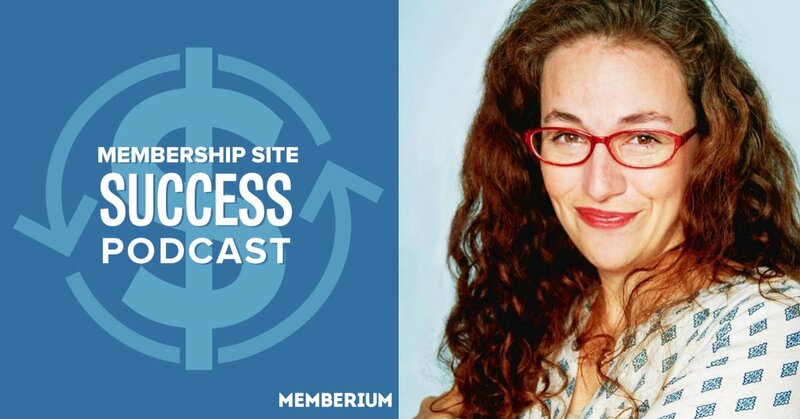 At the time she didn’t have an email list, she wasn’t well known and had been holding herself back from launching her own program with a few common mindset hurdles that people often have when it comes to launching a membership site. In this episode, Michael Hunter, the co-founder of GoSpiffy joins Micah to discuss how to effectively structure online course content so it’s focused on delivering real results for your students. A few years ago, having 40+ hours of content inside of an online course would be a great selling point. 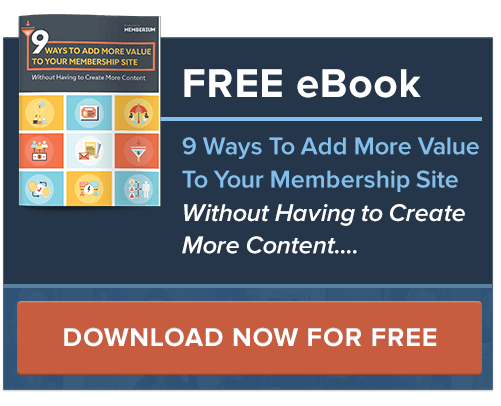 Over the years the way that you should structure an online course (or membership program) has evolved to being all about the results that it delivers. Over the years Michael has worked with some of the world’s biggest personal brands. For several years he was the CMO of Brendon Burchard’s organization. Besides running Spiffy, he’s helped countless authors, experts, coaches and speakers in monetizing their knowledge online. Throughout this episode Michael shares a ton of nuggets that he’s learned from all this experience and shares some of the most common traits that these successful business owners have shared. 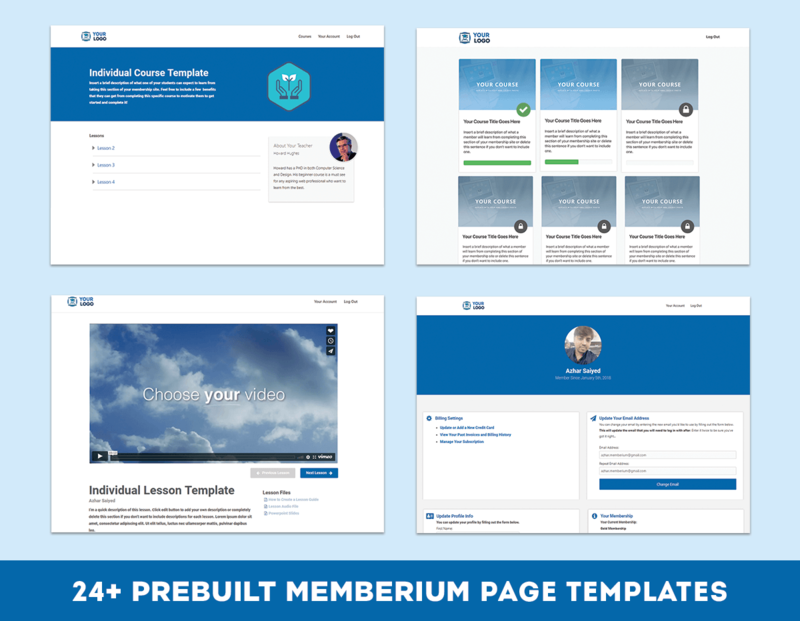 We’re happy to release a new set of 24 “plug and play” page templates that make it easier and faster for anyone to build and launch a membership site or online course with Memberium. All membership sites have a common set of pages that it needs to be able to work as a “membership site”.Instead of having to build all these pages one by one yourself, we’ve done most of the work for you now so you can use these templates to get any new membership site launched quickly. 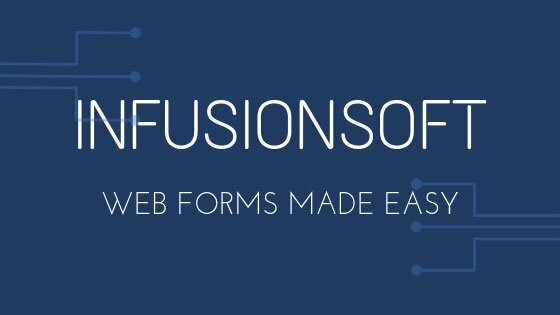 Web forms are one very useful and nifty feature in Infusionsoft. Web forms are easy to create, and you can collect variety of information on your site using web form. In this tutorial, you’ll learn how to create a web form in Infusionsoft and allow it to autofill logged in users information using Memberium. Don’t worry, its very easy and doesn’t involves you to have ninja coding skills.